The time between fall sports seasons is full of changes. Last year’s first-years begin to look like actual college students while the incoming freshmen revert to a state of kindergarten-like timidity. 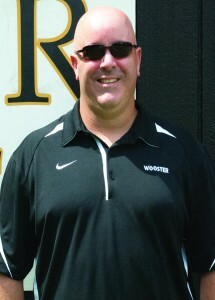 At Wooster these naturally occurring patterns of change in college life have been accompanied by a number of changes in the athletic department. The football team, soccer team and tennis team have all undergone a shift in the makeup of their coaching staffs. Toward the end of last semester, the Voice covered the hire of football coach Frank Colaprete in relative depth. 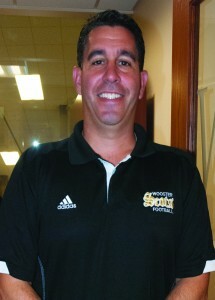 Colaprete comes to Wooster from Johns Hopkins University, where he was the associate head coach and won over 80 percent of his games, an impressive feat for a coach in any sport. Previously, he had been both a defensive backs coach and then the defensive coordinator for John Hopkins, as well as defensive line coach for Georgetown University and a coach at Allegheny University. Colaprete takes over a Wooster team that is coming out of a 2-8 season during which they were outscored by nearly a touchdown a game. No one disagrees that Wooster has a long way to go, but Colaprete has high expectations for his team during this upcoming season. “The team has had a great pre- season, and you can expect them to play hard,” he said. “…Our expectations are to win.” The Fighting Scots community will get its first chance to see Colaprete’s team in action Sept. 7 at 7 p.m. against Washington & Jefferson University. 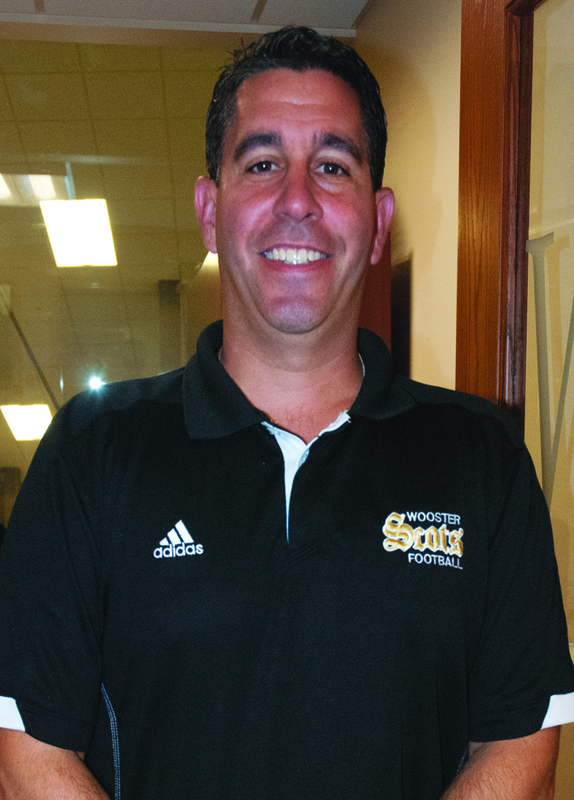 Colaprete is not the only new coach setting foot on Wooster’s campus. 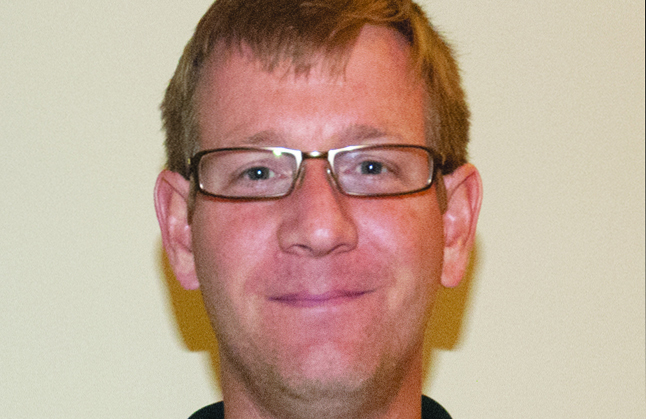 Also new is tennis coach Tim Dunford, hired earlier this month by the athletic department. Dunford steps into a position that had been occupied by Coach Hayden Schilling since 1980. Replacing a coach whose longevity was overshadowed by nothing other than his success is no small task, but Dunford believes he is up to the challenge. Dunford has an extensive background in tennis. He played in college at Shenandoah University and later competed in professional tennis at the minor league level. His coaching career began at James Wood High School in Winchester, Virginia, where he coached while playing college tennis. From there he continued to Mt. Olive College in North Carolina, where his team was ranked as highly as 30th and received one invite to the NCAA national tournament. During his time at Mt. Olive, he also coached a women’s tennis team at James Keenan High School. From there he moved on to Thiel College where he restarted the long-defunct tennis program. Many aspects of coaching at Wooster will be challenging for Dunford, particularly due to the strength of the conference in which Wooster plays. “Wooster plays in probably one of the top three conferences in college tennis,” says Dunford, but he is not daunted by the road ahead. “I’ve won everywhere I’ve gone, and I have not been put in positions where I’m supposed to win.” The Fighting Scots community certainly hopes that trend will continue at Wooster. Tennis begins on Sept. 14th at the Kenyon Invitational in Gambier, Ohio, as Dunford and his players seek to have a winning record for the first time in recent history. Completing the trifecta of new coaches is Wes Davis, the new assistant coach for both the men’s and women’s soccer teams. Davis takes over from Darren Moore, who held the same position for a number of seasons. Before his time at Wooster, Davis coached at Oberlin for six seasons and was associate head coach for three of those six seasons. 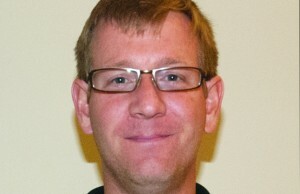 He was also an assistant coach of women’s soccer at University of Wisconsin-Lacrosse and Earlham College. As a player, he competed at Central College, a Division III school in Pella, Iowa. Davis has a number of responsibilities as a coach of the men’s and women’s teams, includingorganizing training sessions, instructing on the field, organizing travel arrangements, scheduling games and recruiting future players. Davis joins his wife Sarah Davis, the head volleyball coach, as a member of the Fighting Scots community. He joins a men’s team that most recently went 4-12-1, winning no home games and only one game in the conference. The women’s team was much stronger, going 12-6-1 and only losing one game in the conference. Both teams will certainly benefit from his leadership and experience as they strive to build upon past years. Men’s soccer kicks off at Elmhurst on Aug. 30, and the women’s team gets its first taste of competition on the same day at home against Mount St. Joseph at 5 p.m.
Change is frequent in the world of college athletics, and Wooster is no exception. The Fighting Scots community can only hope that victory will not trail far behind all the recent change of scenery where the coaching staffs are concerned.